Board certified by the American Board of Urology, Ramesh Krishnan, M.D., received his Bachelor of Science degree in Biochemistry from Texas A&M University in College Station, Texas, and obtained his medical degree from The University of Texas Southwestern Medical School in Dallas, Texas. He completed his residency at the University of North Carolina Hospital. Dr. Krishnan sees newborns to adults and treats patients with conditions such as prostate cancer and male sexual dysfunction. He also performs pediatric procedures and reconstructive surgery for women. Devoted and informative, Dr. Krishnan considers himself a mentor to his patients. “When a patient comes to see me, I gain an understanding of what their issue entails. We work together and make a well-educated decision on what is the best treatment plan that will work for their lifestyle,” said Dr. Krishnan. Although Dr. Krishnan enjoys many aspects of his job, connecting with patients and learning about their lives is most rewarding. In his spare time, Dr. Krishnan enjoys exercising, traveling to different parts of the world for medical missions and spending time with his family. 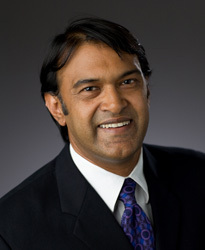 Dr. Krishnan practices at Memorial Hermann Medical Group Memorial City Urology.